The 2019 INFINITI Q70 is a performance luxury sedan featuring distinctive INFINITI style, robust performance, opulence, and innovative technology. We are excited to have this stunning Black Obsidian 2019 INFINITI Q70 LUXE in our inventory at Red Noland INFINITI in Colorado Springs. This brand new luxury sedan is loaded with features the whole family will adore. Be the first in your neighborhood to own the striking new 2019 INFINITI Q70! The INFINITI Q70 delivers a sporty exterior, which stands out in comparison to everything else on the road. The front of this luxury sedan features a bold appearance with INFINITI’s distinctive arched grille. Night driving is simple with LED headlights and convenient LED fog lamps. Under the hood, a 330-horsepower 3.7-liter V6 engine provides responsive acceleration. Mated to the powerful engine is an efficient 7-speed automatic transmission with Adaptive Shift Control. Drive with confidence with the INFINITI Intelligent All-Wheel Drive system. This efficient system automatically distributes torque to the wheels based on current road conditions. The 2019 INFINITI Q70 is the perfect car for driving enthusiasts. The interior of this elegant INFINITI Q70 is the perfect blend of luxury and functionality. Passenger comfort is incorporated into every design element of the spacious cabin. The driver and front passenger will enjoy heated Graphite leather seats. The rich leather continues to the rear seating, providing optimum comfort for rear passengers. An INFINITI 8-inch infotainment system touchscreen features InTouch™ Navigation with voice recognition, SiriusXM® satellite radio, Bluetooth® hands-free phone integration, and more. Enjoy your favorite music with the 10-speaker Bose® premium audio system. Drive in style with innovative features throughout the cabin, including a rearview backup camera, a large tinted sunroof, heated steering wheel, Active Noise Control, driver seat memory settings, and so much more! 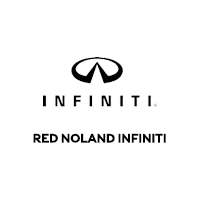 Don’t miss out on this amazing luxury sedan offered by your INFINITI experts, Red Noland INFINITI in Colorado Springs. 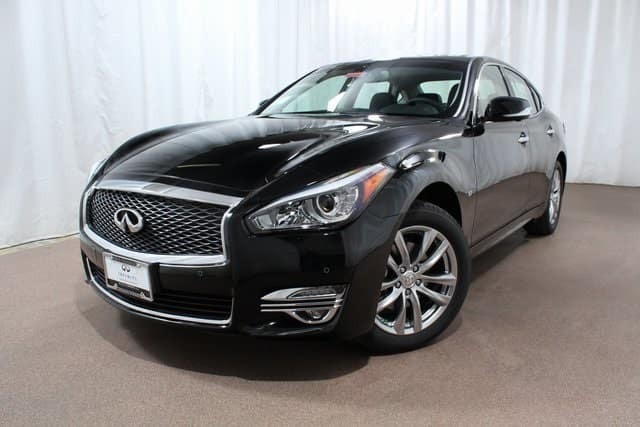 Stop in and take this brand new luxury 2019 INFINITI Q70 LUXE for a test drive today!